Transportation & Logistics Startups to Watch , a new report from Business Insider Intelligence, monitors the biggest change agents in the industry to offer unique insight into the development of the transportation and logistics space at large, and shows how traditional companies are adapting to their new environment. Business Insider Intelligence's Startups to Watch reports give a high-level overview of the funding trends for startups in a particular coverage area, as well as a list of key startups (by function, what they do, key news, and statistics). Businesses need to understand new competitive threats, technologies, and acquisition opportunities in order to thrive. These reports provide that contextual information in an easy-to-digest manner. 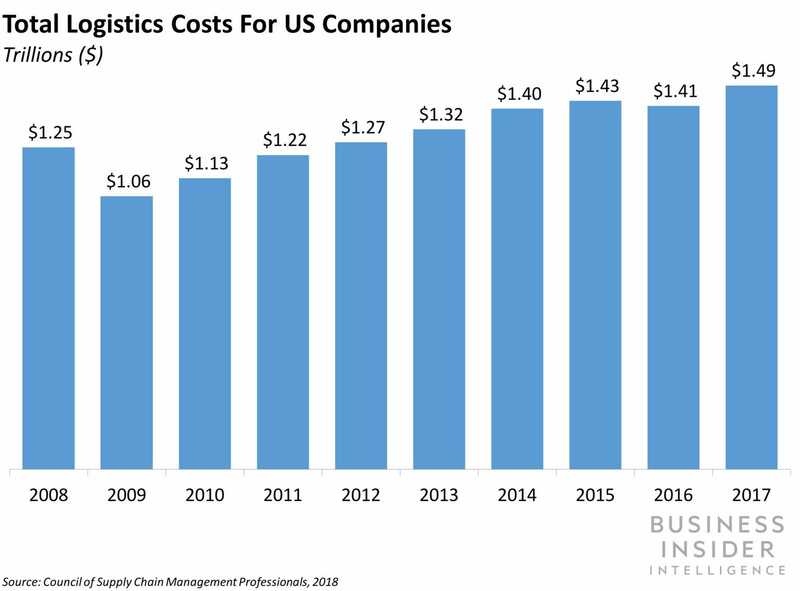 In full, the Transportation & Logistics Startups to Watch report dives into the top 25 companies - five startups across five key disruption areas - that are easing shipping burdens, improving order fulfillment efficiency, optimizing delivery, and automating processes. January 10, 2019 at 10:49 AM AI Litigation Analytics: A Fad Or The Future? January 10, 2019 at 7:05 AM Gender-blind hiring is BS. Here’s why so many companies are failing.